Still on tap since St Patrick’s Day was their unique Spirulina Wit. What makes this beer unique? 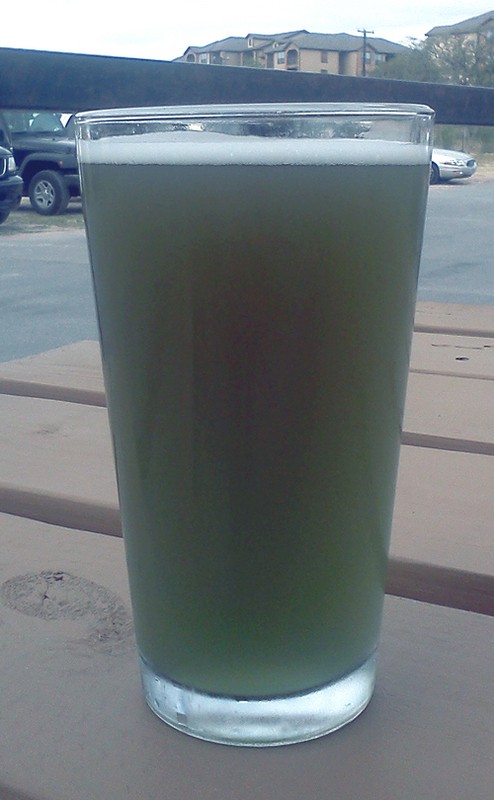 Well how about that they brew this beer with natural blue-green algae known as spirulina. So patrons who visited Freetail on St Patrick’s day were ordering this beer instead of artificially green colored beers. I know I got this beer last year, but could not remember the taste of it, so I was anxious to get another whirl at this bad boy. The latest thing to ad to this review is my Metal Connection, and what better band to compare this monster to, then GWAR! I went with the classic song, “Gor-Gor” from their 1992 album, America Must be Destroyed. All Hail the Monster, BeerMetalDude!